Medco moved into Manokwari in 2008 to start an oil palm plantation. At that point it could still be counted as one of the pioneers of oil palm in West Papua. 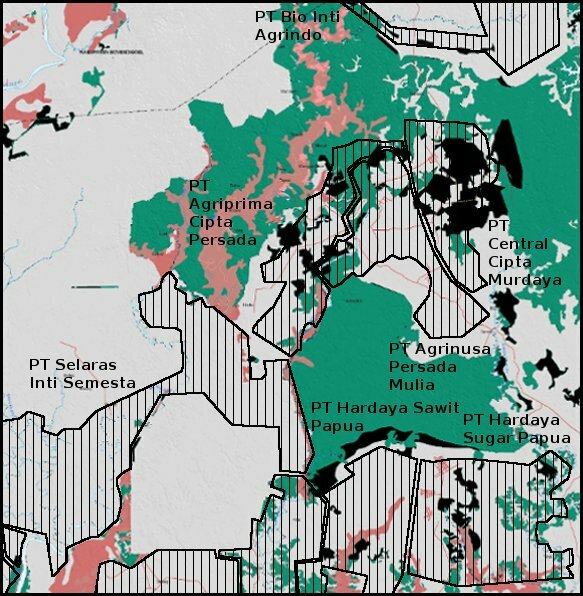 A few years later, as large expanses of land for new plantations become increasingly hard to obtain in Sumatra and Kalimantan, more and more companies have been turning their eyes eastward to Papua’s vast forests. Yet given the huge inequalities in Papua, it is unlikely that any of these new plantation developments will be without its problems. 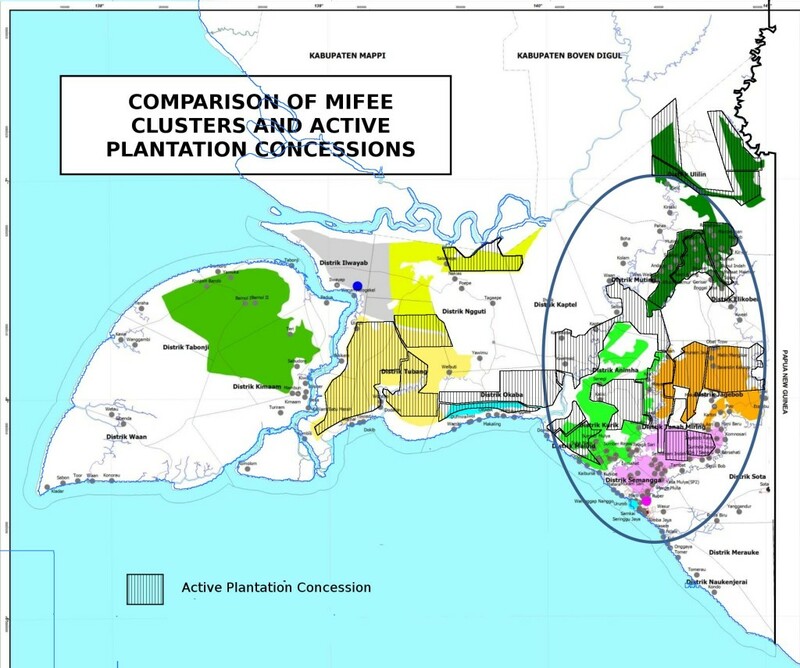 In the case of Medco, the new plantation has increased the pressure on land in a relatively densely populated agricultural area, potentially also increasing tensions between indigenous Papuans and transmigrants. 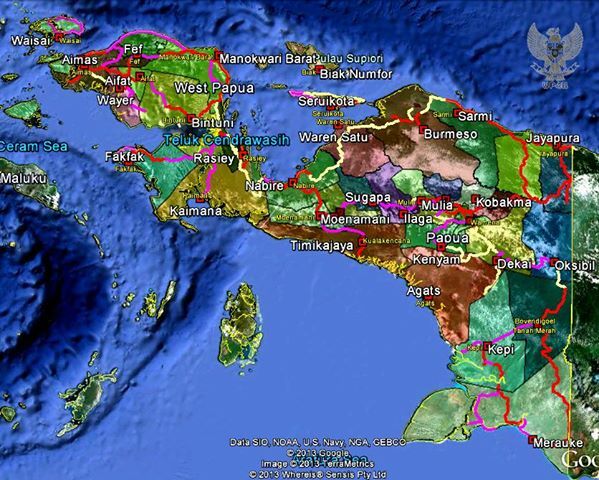 The land around Manokwari is mostly mountainous, except for one long broad plain stretching along the coast and into the interior. 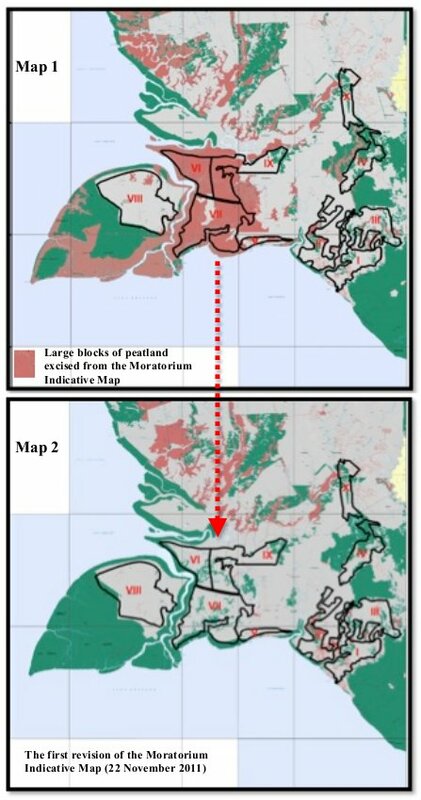 Much of this land was allocated for transmigration programs in the 1980s, and some of the migrants who came were employed as smallholders on the first oil palm plantation in Papua, run by the state-owned company PTPN II, which got its permit to operate in 1980. Other transmigrants farm food crops in this area, which is the only large area suitable for lowland agriculture near to Manokwari city. Many local Arfak people also live in the area, they are also farmers but tend to use the technique of shifting cultivation, while the transmigrants stick to their allocated two hectares. 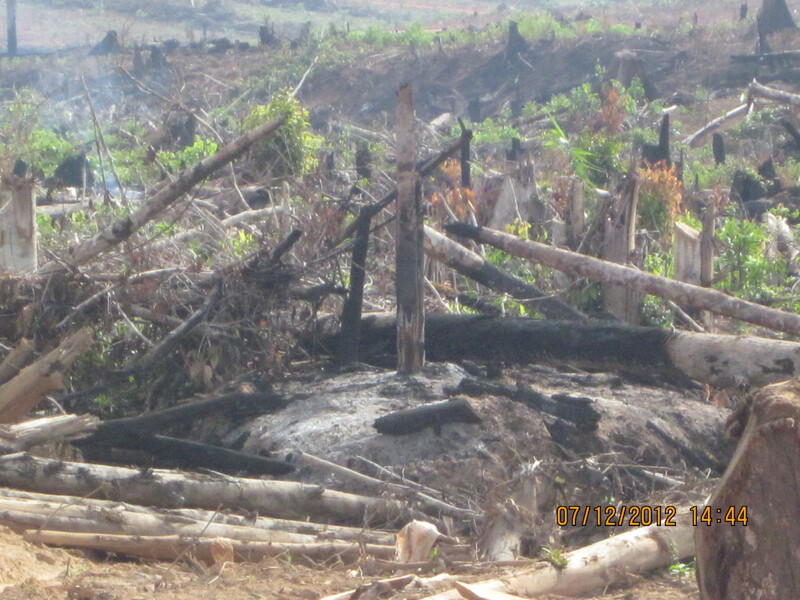 This is the environment which Medco’s subsidiary PT Medcopapua Hijau Selaras moved into, occupying some of the forest areas unused by PTPN II and the transmigrants, and also westwards further along the plain. 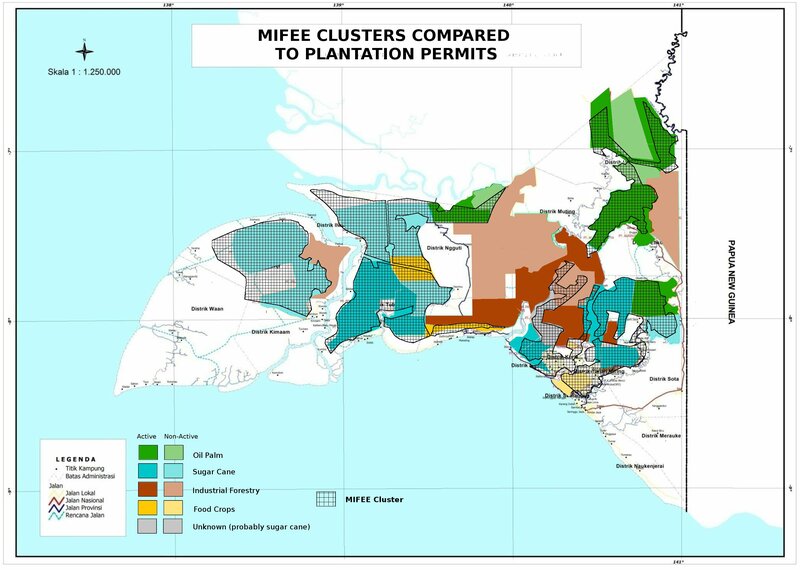 This agricultural environment and its mixed population structure is a very different context from some other areas where oil palm is expanding in Papua, such as the sparsely populated forests the Korindo and Daewoo groups chose for their plantations near Merauke. Everywhere in Papua, the consent of local communities which hold customary land rights have to be obtained before a company can operate. However this is often treated as a formality, rather than giving communities a real choice to decide the future of their land. 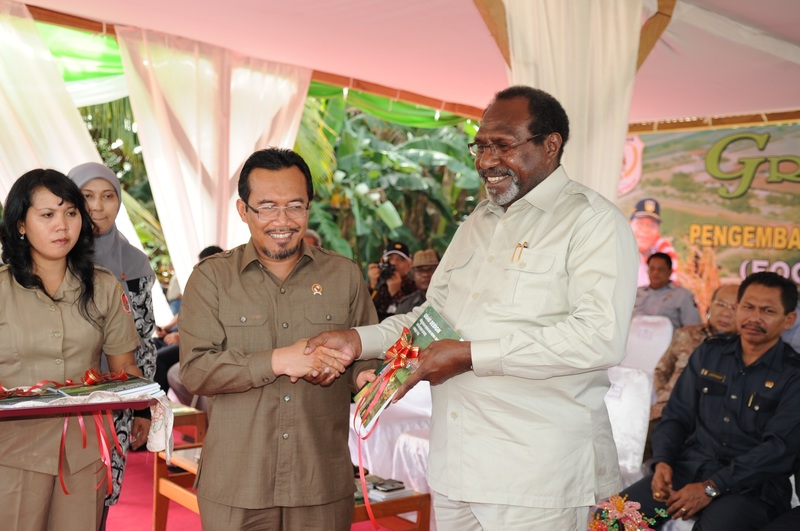 Medco has met this requirement by compensating traditional leaders at a rate of Rp 450,000 per hectare. The company also offers local Papuans smallholdings of two hectares of oil palm, which they would manage and then sell the fruit to the company. 450,000 per hectare is not much (around A$45 dollars). One place we visited told us that the chief had received 30 million Rupiah for the villages’ land (he wasn’t sure of how many hectares that was for). That meant signing away rights to the land for 35 years. However, in one year, he claimed, the farmers could make 30 million growing chilli on just a portion of that land. They felt cheated. What’s more, negotiations and payment are made to the tribal chief only. It is customary amongst the Arfak people that the chief receives all compensation paid to use the land, and does not share it with other families. However the whole community who lose their land to theplantation. In many places chocolate trees have been cleared, and the owner was not individually compensated. The Arfak people we spoke to did not make a problem of this however, or show any bitterness towards the tribal chief. Indeed they complained about how Medco had not followed through on its promises to build a new home for the tribal chief, seeing it as a betrayal of trust by the company. In fact, it may be low, but 450,000 Rupiah is a higher level of compensation than any other oil palm plantation in Papua. 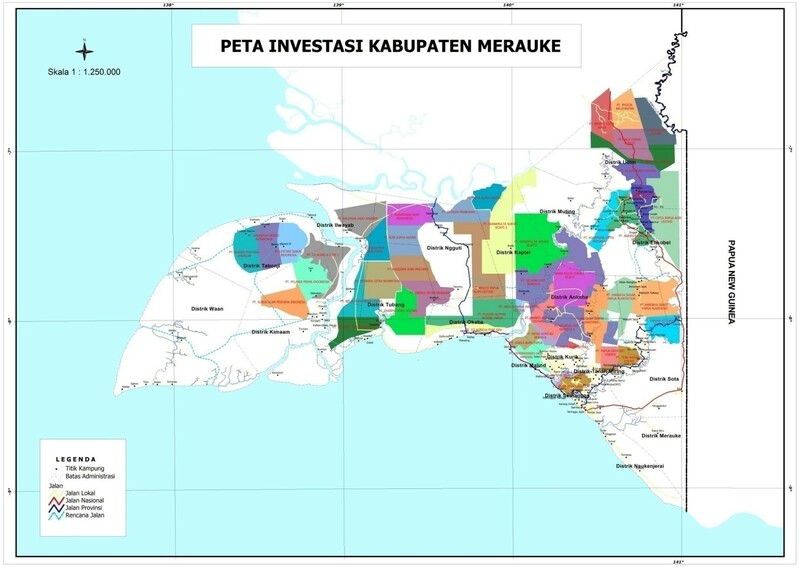 The highest rate in the cluster of plantations around Merauke is Rp 300,000 per hectare, but some communities were convinced to sell for Rp 50,000 – 70,000 back in 2007. 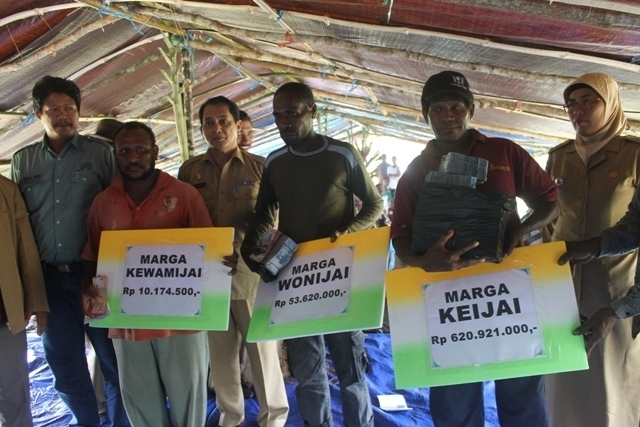 In Sorong, the Mooi people were cheated out of their land for Rp 6000 per hectare. However, in those other cases, the land is mostly forest. Medco’s area in Manokwari is either agricultural land or could be potentially used as agricultural land. If it were not being used for oil palm it would be used by small farmers to meet the food needs of this growing city. As a comparison, one hectare of paddy fields on Java would be sold for around two billion rupiah. Before Medco came, there were existing tensions over land, which squeezing the communities yet further is likely to exacerbate. The problems arose because when the government originally brought transmigrants from other islands including Java and Timor, it didn’t seek agreement from the local customary landowners or provide compensation. Although it is now generally recognised that retrospective compensation must be paid, in many cases the cash is not forthcoming. In some cases, the transmigrants have settled the issue themselves, paying off the required amount in monthly instalments. Others quite rightly argue that the government brought them there, and so they are holding out for the government to meet its responsibility and pay up. 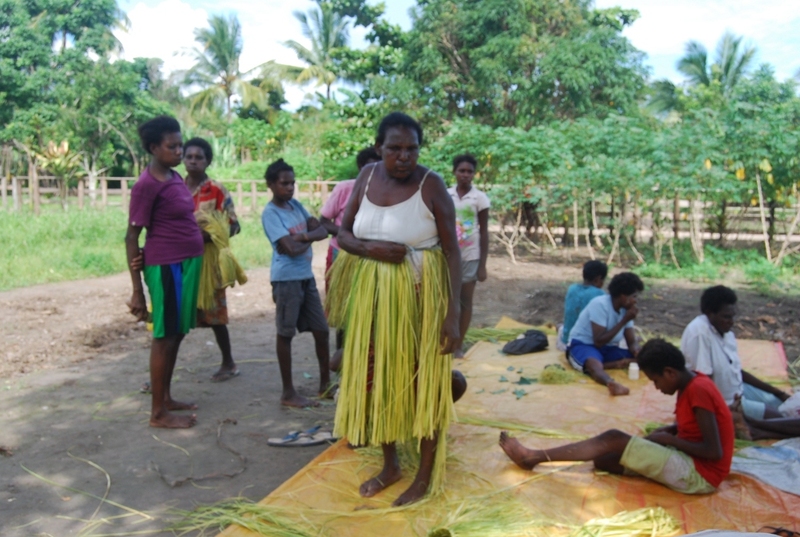 But in that situation their future is very insecure, especially if they are smallholders on PTPN II’s plantation with just two hectares of palm trees which are rapidly becoming unproductive, and no clear title over the land. 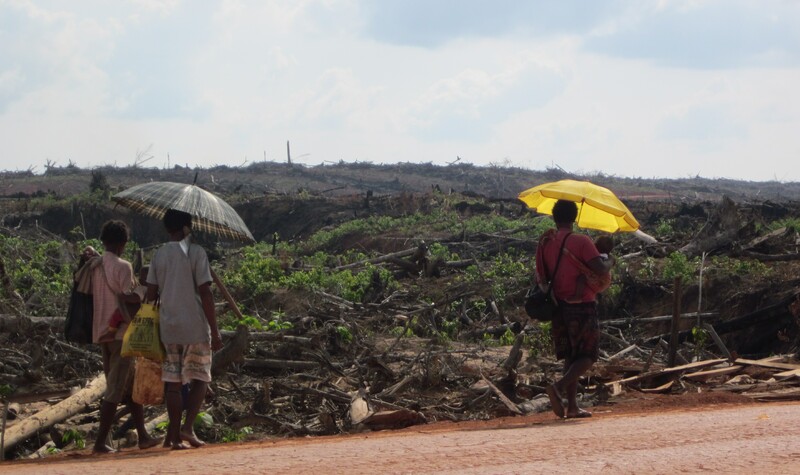 The indigenous people are also in an increasingly precarious situation, in part because Medco has also taken so much land, making it harder to make a living from shifting cultivation as they have always done. In general, the indigenous people and the transmigrants are aware of the other side’s difficult situation and endeavour to remain good neighbours without conflict breaking out. However it is inevitable that tensions are present, and without a resolution it could explode at any time. 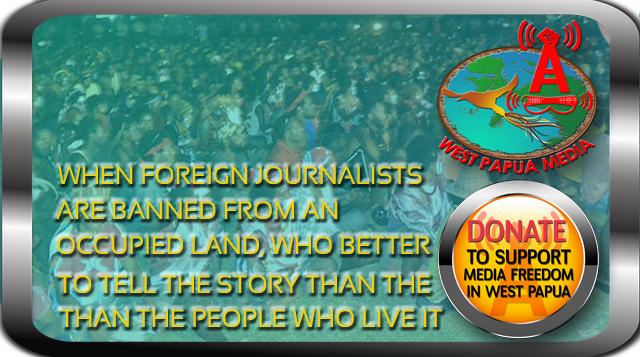 The new plantation also brings environmental problems. Apart from clearing the lowland forest, the plantation is already causing severe problems with erosion and flooding. One river had widened by over 100m in just a few years since the forest was cut down and replaced with oil palm. Flooding has also intensified in a transmigration area between PTPN 2 and Medco’ s plantations, so much so that the government has erected flood danger notices along the edge of Medco’s concession. Floodwaters now regularly enter their houses. Taking all the low lying land for an oil palm plantation means also that the Papuan farmers are moving into nearby mountainous land for their shifting cultivation plots. Clearing the forest on these steep slopes also increases the risk of flooding and landslides. 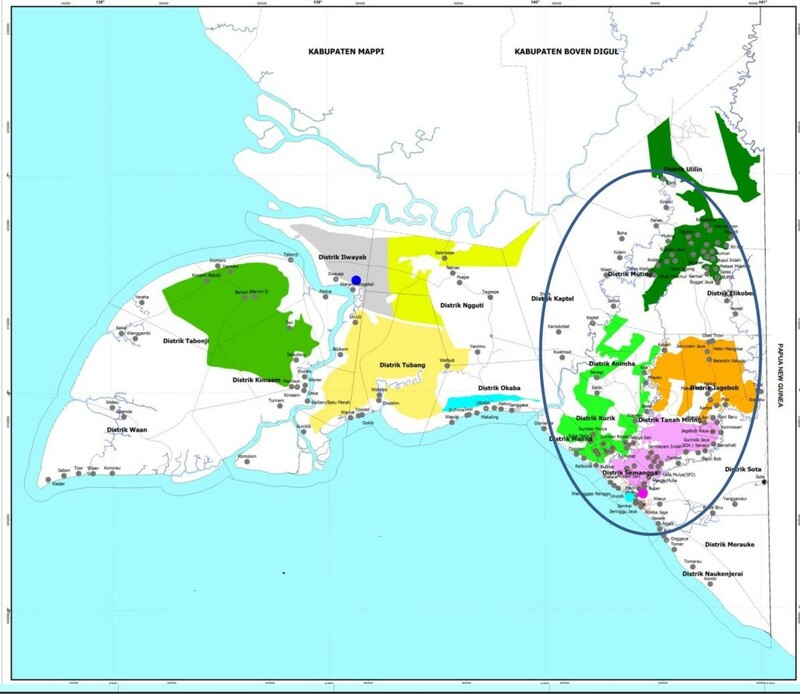 location permit covered 13,850 hectares, but the land released by the forestry ministry was only 6,791 hectares, and in 2011 the company said it had paid compensation on 5930 hectares. This article was first by our partners at awasMIFEE.